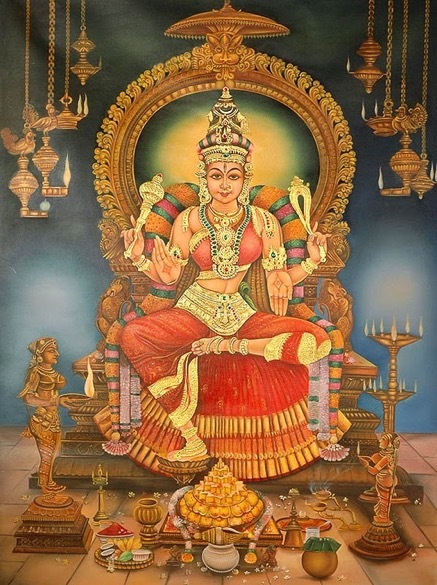 This month, we will be celebrating the Magha navarAtri that is attributed to Goddess RajamAtangI. 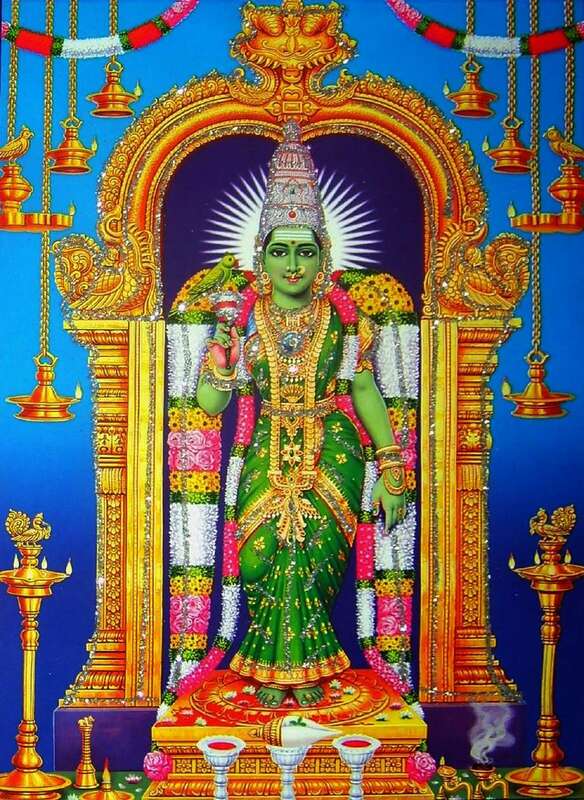 Thus, this issue comes with a complete vidhAnam of shrI rAjamAtangI and her anga, upAnga, and pratyanga dEvatAs (laghu shyAmA, vAgvAdinI, and nakuli). The mantra japa kramAs, AvaraNa pUjA paddhatI’s of all of the above dEvatAs have been included in this issue. AshtottarA’s for mAtangI, laghu shyAmA, and vAgvAdinI have been included as well. The mAtangI sahasranAma as listed in saubhAgya lakshmI kalpA has been included in the shlokA form. In addition, several mAtangi shlokAs (navaratnamAlikA, yOga mInAkshI shlokA, mInAkshI stotram, and mAtangi stutI) are included for readers’ pArayanA purposes. 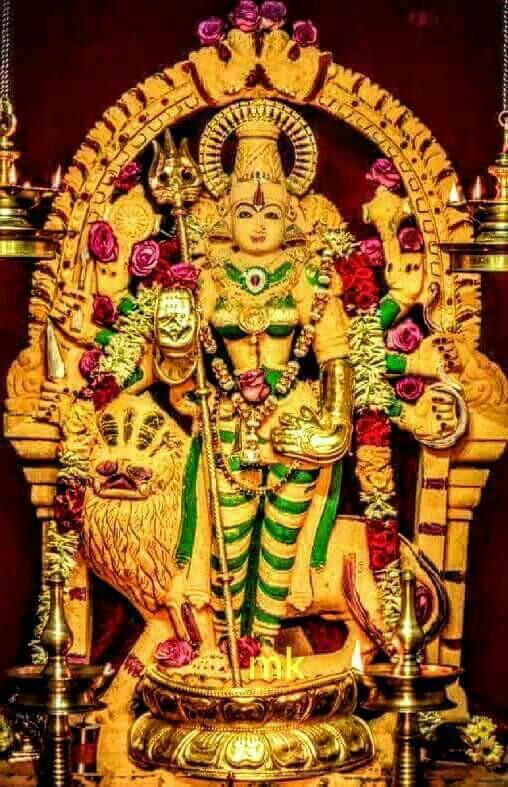 Shri AtmAnandanAtha has kindly shared his wonderful meditation articles on each of the dEvatAs and I am sure that it will help the upAsakAs to understand the meaning of the dhyAna shlOkA, mantrAs, and aid them in the sagunOpAsanA and tatvAnusandhAnA. 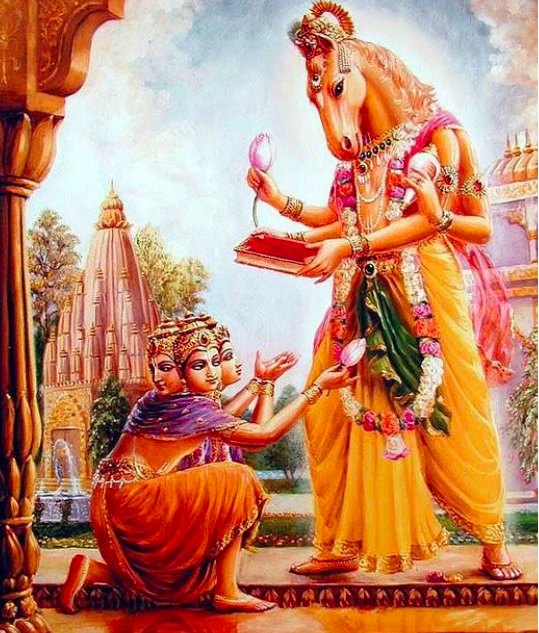 We thank him for sharing the wonderful painting of nakuLI depicted as per the dhyAna shlOkA. The mUla mantrAs of mAtangI, laghu shyAmA, vAgvAdinI, and nakuLI has various pAthA bEdAs and it is apparent even within the tantra books. Hence, it is strongly recommended that the upAsakAs follow the moola mantrAs given to them by their own Guru and follow their path. The AvaraNa krama can be followed as given in this issue but the mUla mantrAs given by the Guru should be substituted wherever relevant. The mUla mantrAs given in this issue are based on what is followed in GuhAnanda manDali.